Structure Characteristics Perfect seal of post: unique structure of triple seal(patent: ZL 02 2 20024.X) to totally prevent the acid leakage. Retardant-lame and blast-guardsafety valve: the open and close pressure of the valve is stale and reliable. Effective structure for quakeproofing and heat dissipation. Handle ismounted on all cells for easy handing. 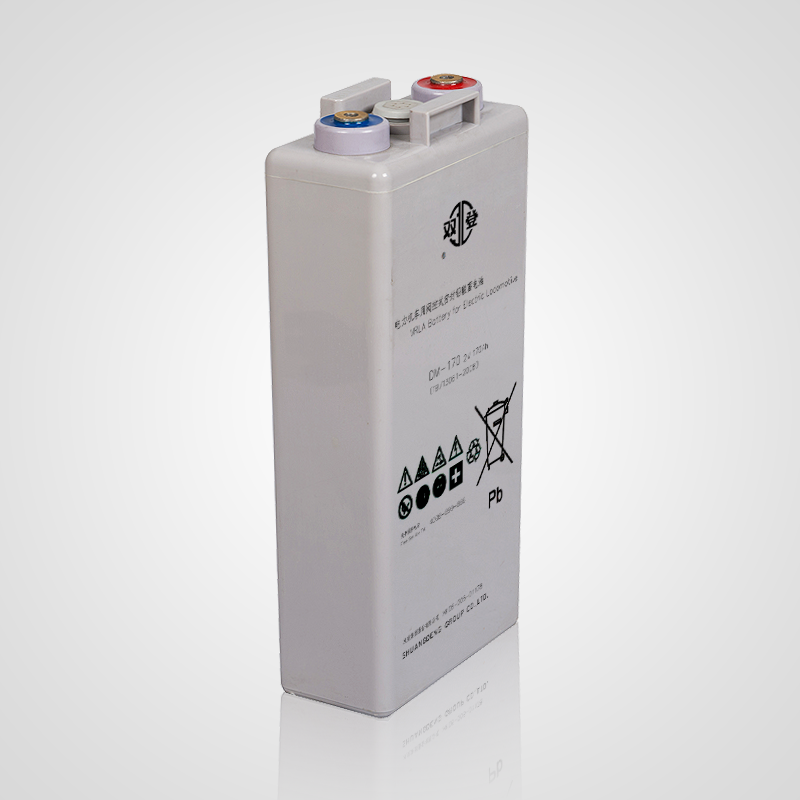 VRLA Battery for electric locomotive is the patented product that is researched and developed by Shuangdeng Group its own.It adopts the latest modern technology, having a new structure with safety valveand special pole seal. It has many advantageousfeatures, such as, good resistance to impact and vibration, long cycle life, low self-discharge rate, high specific energy. 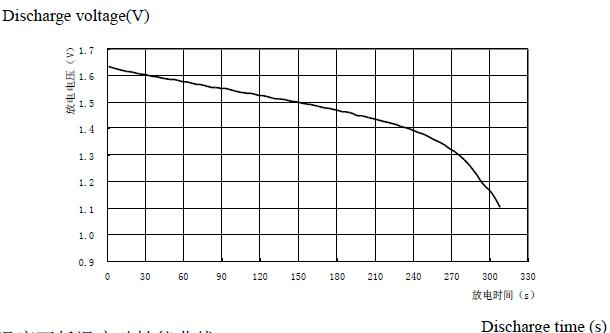 There is no freeelectrolyteand no acid damp underthe normal usage.It can be the most ideal DC power source for the lighting and auxiliary electric devices in railway electric locomotive. The product is executed in accordancewith the industry standards issued by Ministry of Railway of P.R. China TB/T3061-2008“Valve-regulated Lead-acid Accumulator for Railway Locomotive”. Perfect seal of post: unique structure of triple seal(patent: ZL 02 2 20024.X) to totally prevent the acid leakage. Retardant-lame and blast-guardsafety valve: the open and close pressure of the valve is stale and reliable. Grid which is designed by the latest modern technologyto enhance the utilization of active materialand the uniformity of the current distributionis made of special multi-element alloy to ensure the longer lifetime of thebattery. Die-casting copper core of bigger diameter, with large cross-sectional area is large, and high strength, enhance to the large discharge acceptability. Effective structure for quakeproofing and heat dissipation. Handle ismounted on all cells for easy handing. 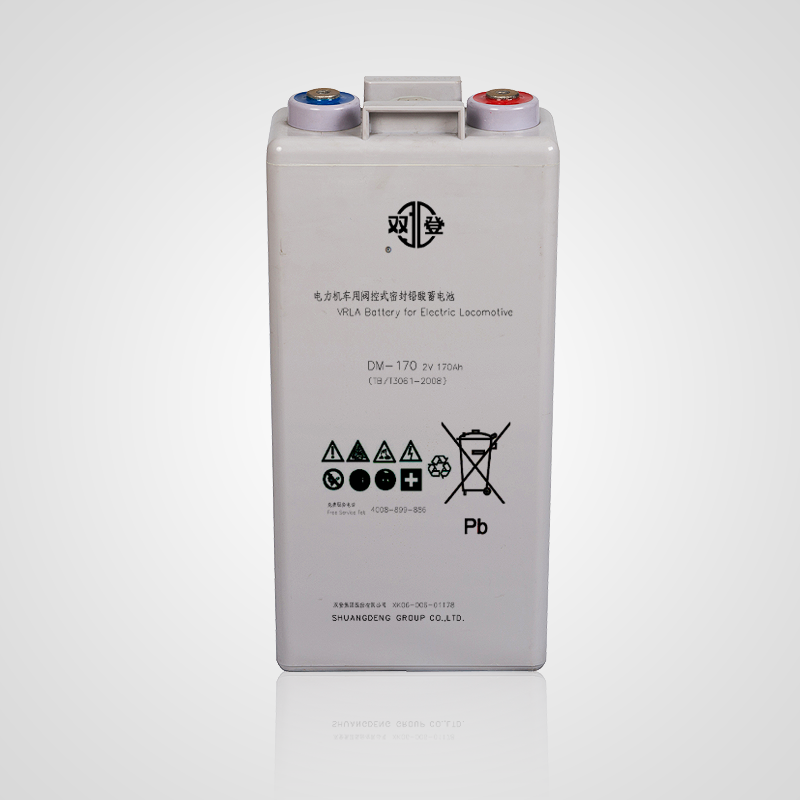 Designed service lifeof the batteryfor locomotive operation ismore than 8years or 1600000 km. 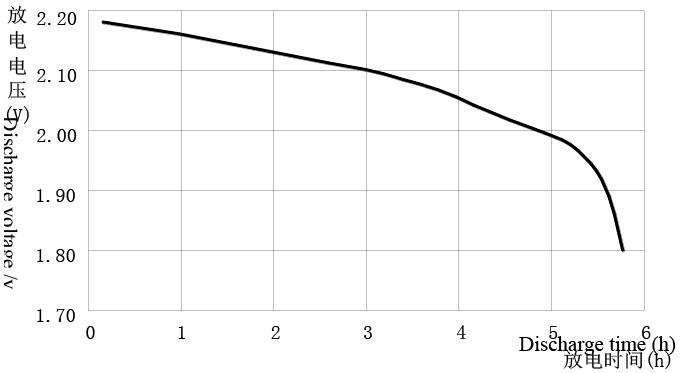 Cycle life: be more than 300timesand C5is more than 85% (DOD≤65%). 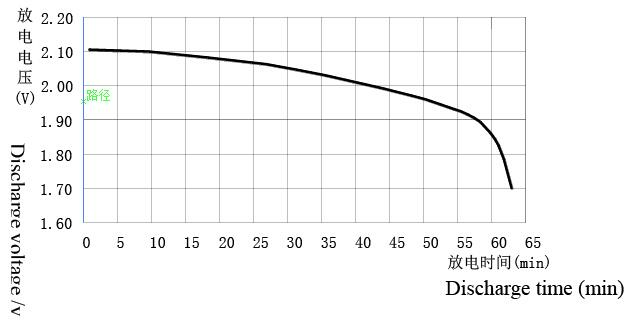 Self-dischargeperformance is less than 4%/month（25℃, 28d）. Charge acceptability：charge currentis more than40A. Seal reaction efficiencyis more than98%. Environmental temperature is between -40℃and +40℃. Relative humidity is not more than 95%. Service in windy, blowing dust, rainy and snowy weather is acceptable. The cell of one string can not used separately. 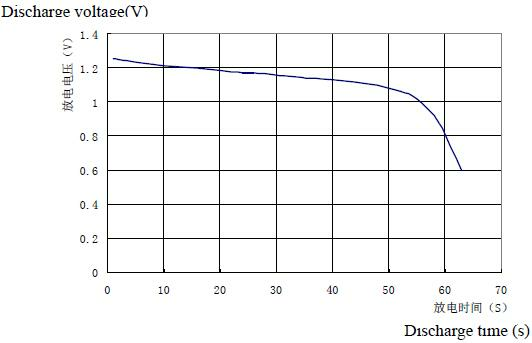 1.1hr discharge characteristics under 25℃. 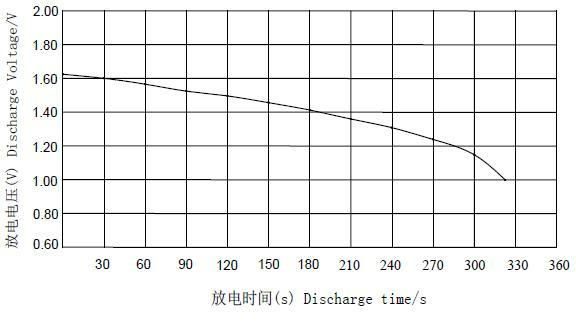 2.5hr discharge characteristics under 25℃. 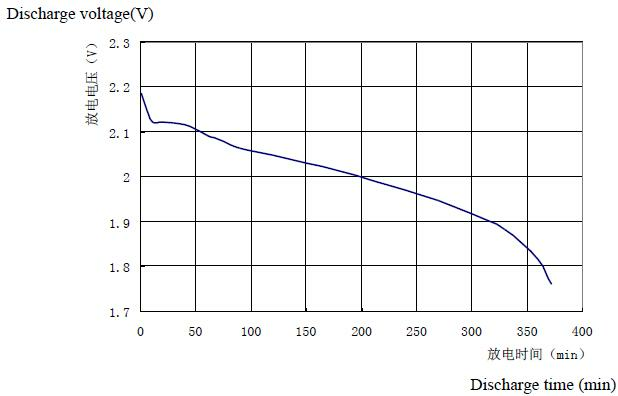 3.10hr discharge characteristics under 25℃. 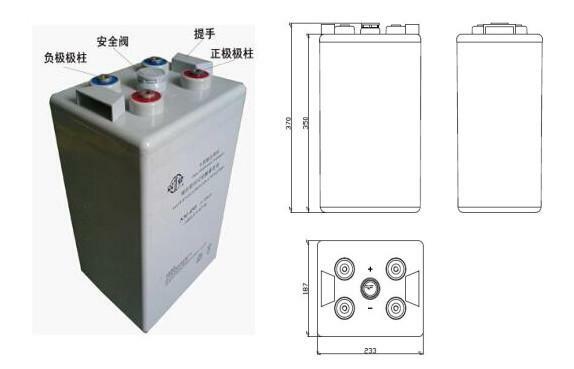 VRLA Battery(NF-360)for internal-combustion locomotive is researched and developed by Shuangdeng Grouptogether with Locomotive Research Institute of Development Academy of Ministry of Railway.The post seal of the product adopts the patent technology and has quite high assembly and open valve pressure which can reduce water loss to a great extent. Compared with traditional VRLA Battery, NM-360 has a lot of advantage, such as good start-up ability under low temperature, high specific energy, safer and longercycle life. It can be the most ideal power source asinternal-combustion locomotive start-up, illumination and other standby power source system. The product is executed in accordancewith the industry standards issued by Ministry of Railway of P.R. 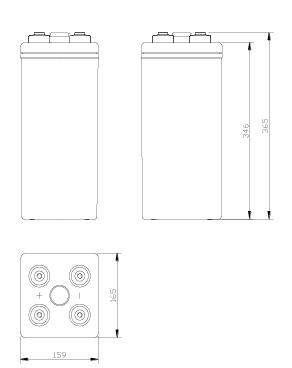 China GB/T 7404.2—2013“Valve-regulated Lead-acid Accumulator for Diesel Locomotive”. 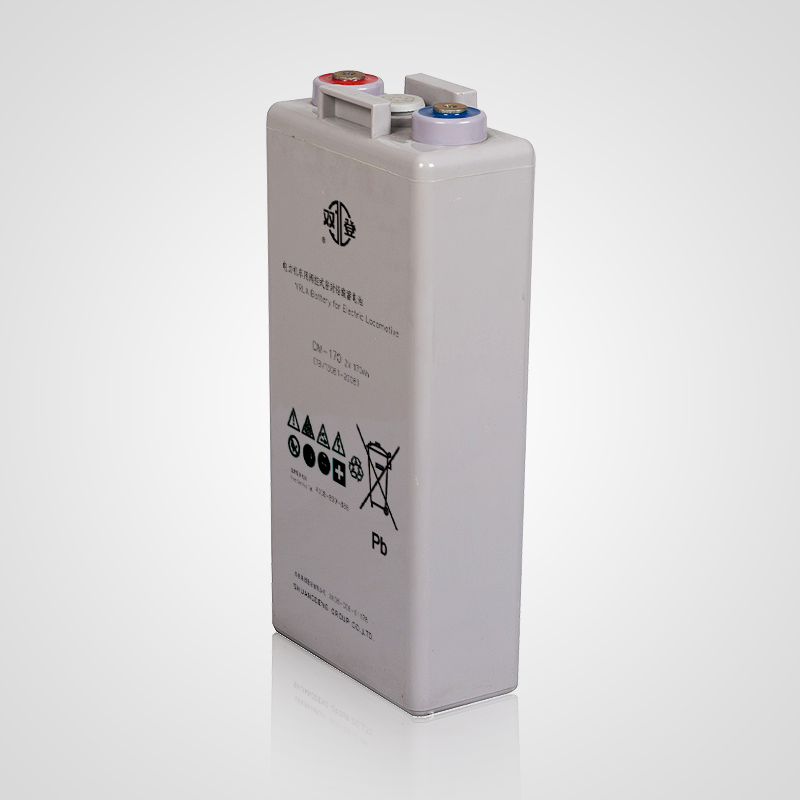 Designed service lifeof the batteryfor locomotive operation ismore than 6years or 900000 km. Cycle life: be more than 10000 times and C5 is more than 85% (DOD≤55%). Start up at normal temperature：start-up current is1700-1800Aand start-up timeis more than 300Sunder 25℃±5℃. Start up at low temperature：start-up currentis1500Aand start-up timeis more than 50Sunder -35℃±2℃. Self-dischargeperformance is less than 4%/month. Charge acceptability：charge currentis more than 64A. Seal reaction efficiencyis more than 98%. 1. 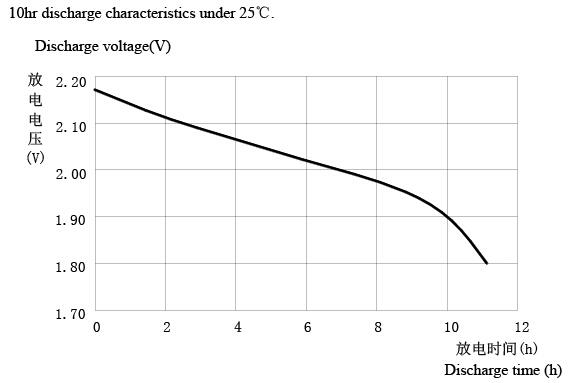 5hr discharge characteristics under 25℃. 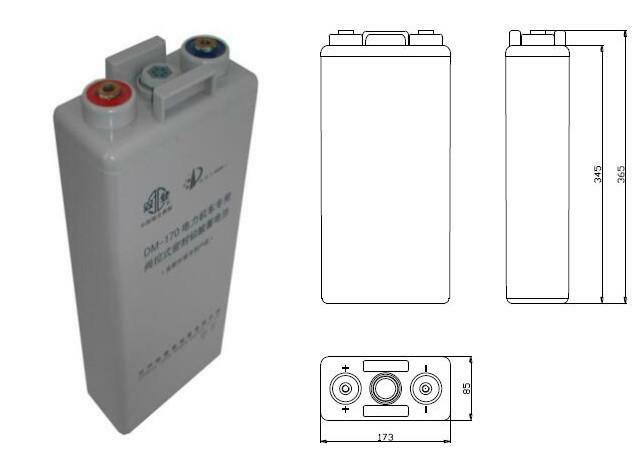 VRLA Battery(NM-450)for internal-combustion locomotive is researched and developed by Shuangdeng Grouptogether with Locomotive Research Institute of Development Academy of Ministry of Railway.The post seal of the product adopts the patent technology and has quite high assembly and open valve pressure which can reduce water loss to a great extent. Compared with traditional VRLA Battery, NM-360 has a lot of advantage, such as good start-up ability under low temperature, high specific energy, safer and longercycle life. It can be the most ideal power source asinternal-combustion locomotive start-up, illumination and other standby power source system. Grid which is designed by the latest modern technologyto enhance the utilization of active materialand the uniformity of the current distributionis made of special multi-element alloy to ensure the longer lifetime of the battery. Retardant- lame and blast-guard safety valve: the open and close pressure of the valve is stale and reliable. Grid which is designed by the latest modern technology to enhance the utilization of active material and the uniformity of the current distribution is made of special multi-element alloy to ensure the longer lifetime of the battery. Handle is mounted on all cells for easy handing. Designed service lifeof the batteryfor locomotive operation ismore than 6 years or 900000 km. Start up at normal temperature：start-up current is2100-2200Aand start-up timeis more than 330Sunder 25℃±5℃. Start up at low temperature：start-up currentis1700-1800Aand start-up timeis more than 50Sunder -35℃±2℃. Charge acceptability：charge currentis more than 80A. 1. 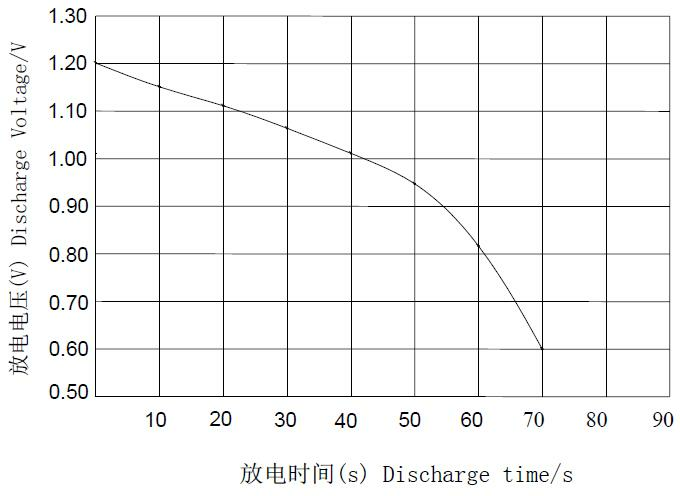 1hr discharge characteristics under 25℃. 2. 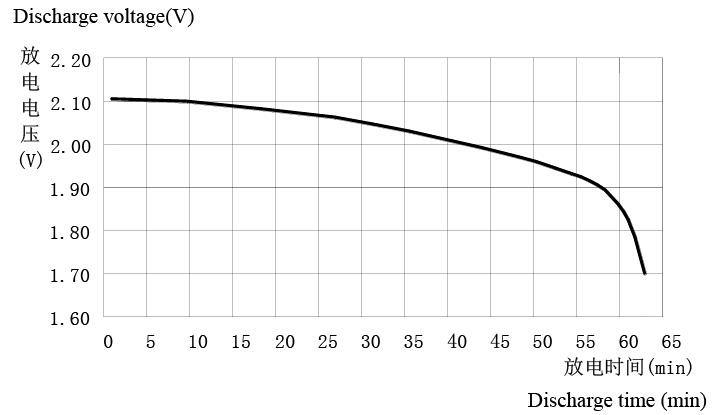 5hr discharge characteristics under 25℃.